Also known as cinnamon vine. This variety of wild yam generally produces one large tuber which can be harvested after a couple of years. 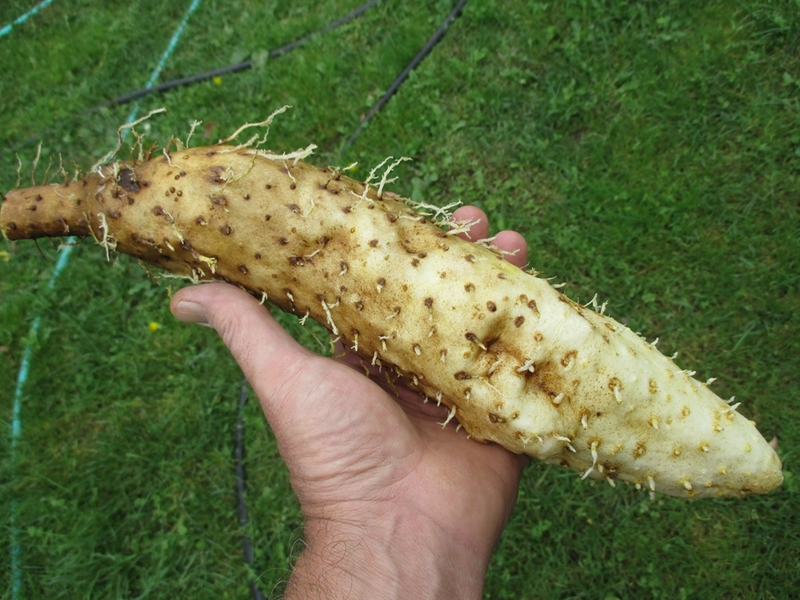 (I have found them to regularly produce more than one) There is another variety that grows multiple, smaller tubers called a Japanese Mountain Yam. Once you receive the bulbils, I would plant in 3″ or 4″ pots with regular potting mix. Plant at a depth of 1/4″. 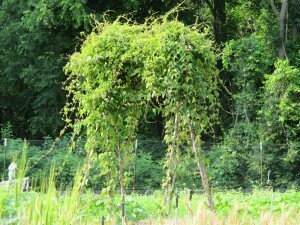 Once plants begin vining they can be set out into garden. The bulbils can also be planted directly into garden soil, but I have better success starting as a transplant. Space plants 2 foot apart. I would also highly recommend planting into a tall raised bed. These tubers can get very large and are quite fragile. Having loose soil around the tubers makes digging easy. Tubers should be dug 2nd year for best size and quality. 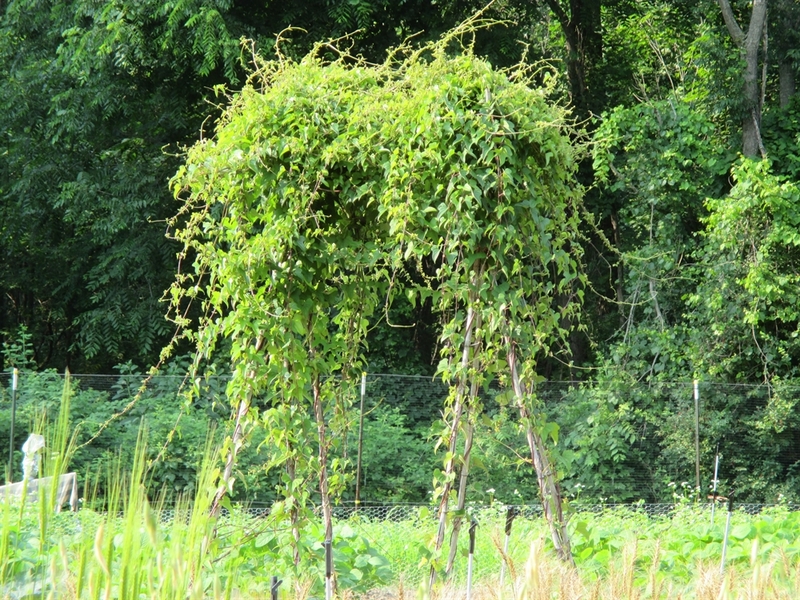 This plant also requires some type of trellis to grow on. In the fall, the vines will be covered with tiny bulbils which can be harvested and replanted. They yams are usually dug in the fall and can be stored like Irish potatoes. Excellent roasted or baked. These make the “fluffiest”, most delicious baked potato I have ever eaten! Very Limited Supply. I will begin taking orders in March. are the mountain yams still available? No, I only have them available for a brief period in March. You can buy these at the Asian supermarket. Break apart a piece and soak it in water. One month later, it will start to root. That’s what I did. Do this during the summer to encourage growth.